Snap-on is a manufacturer of high-end tools and equipment to professional tool users. Founded in 1920, Snap-on is headquartered in Kenosha, Wisconsin, and provides the torque for aviation professionals to get the job done right. The Snap-on Student Excellence Program enables you, the technician-in-training, to purchase the tools necessary to use and build upon as you pursue your technical career. If you’re enrolled full-time at a participating automotive or technical training school, you qualify for a discount on selected Snap-on tools. The skills you learn today will make you a valuable, sought-after professional after you graduate. Because we believe you are the backbone of tomorrow’s workforce, we are proud to be a major supplier of the tools and equipment you will be using in the technical programs at your school. 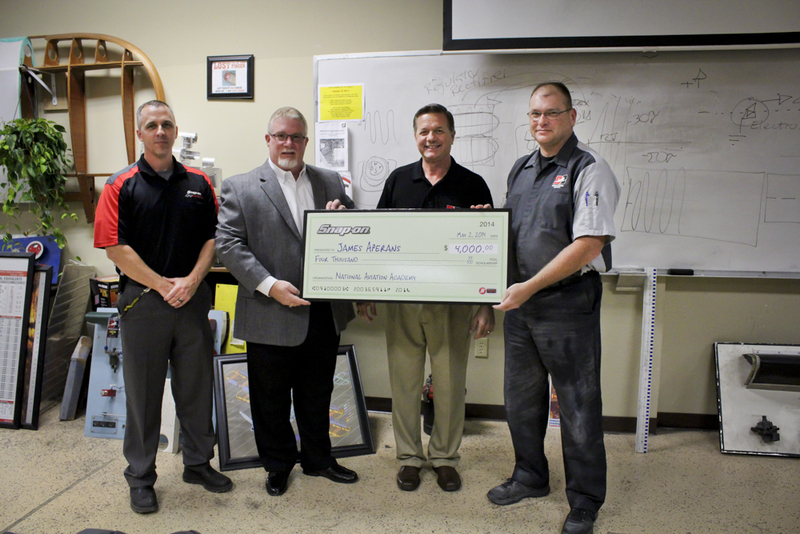 Snap-on has a great relationship with NAA and has even provided scholarships to students. With the new Airframe lab sponsored by Snap-on, the student experience will be optimized for educational development. The skills students will develop in the lab will be second to none.